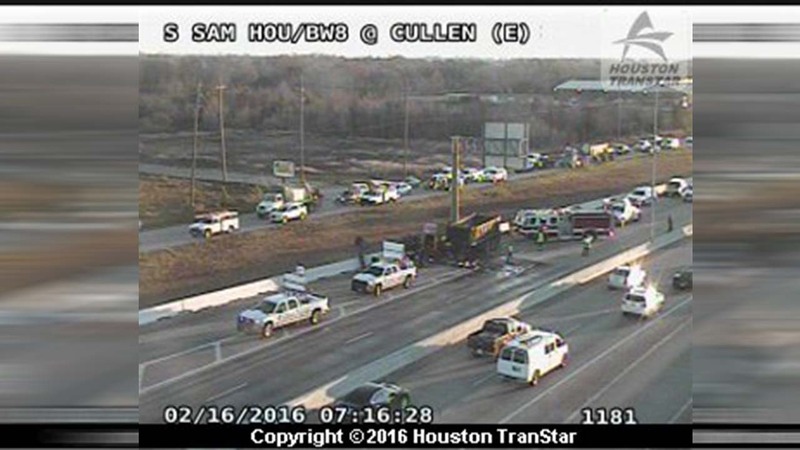 HOUSTON (KTRK) -- A big rig that wrecked and caught fire this morning is blocking two westbound lanes of the South Sam Houston Tollway. There's no word on injuries. Traffic is backed up in the area as vehicles are being forced at the Wayside exit onto the nearby feeder road in the westbound direction. Eastbound lanes may be slowed due to rubbernecking.